Days spent cycling along the seawall and walking on the beach have seen my skin get its fair share of sunshine. Every morning, I lather on body lotion as I’ve been noticing how dry my hands and legs can get when exposed to the elements. This summer may be more humid than what we’re used to on the West coast, but it’s still been good at zapping the skin’s moisture. 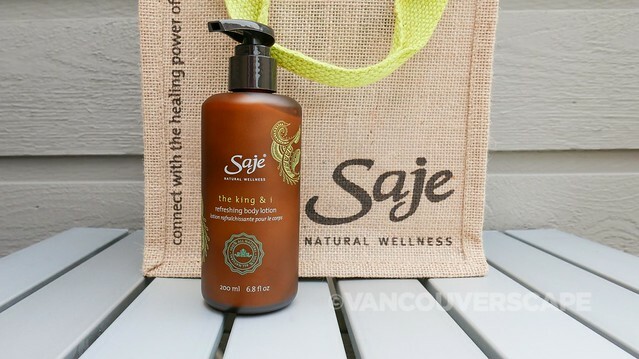 We were sent a couple of Saje Natural Wellness products to recharge our skin and hair: Carrot Soothing & Hydrating Mist and The King & I Refreshing Body Lotion. 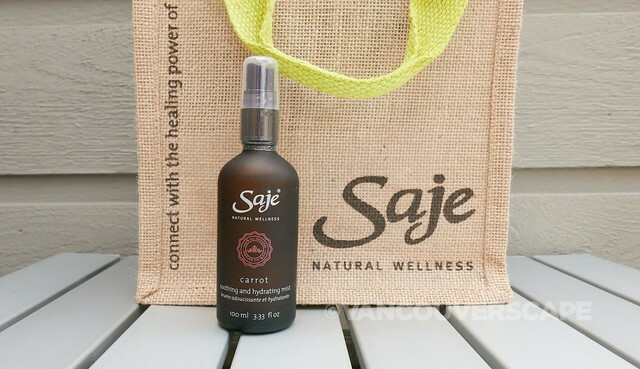 Saje’s Carrot Soothing & Hydrating Mist is a great product for providing overall coverage to both face and hair. The mist delivers a nice wide spray and instantly refreshes after being outdoors or rushing around town on errands. I like the gentle scent that contains carrot seed and nourishing essential oils. There’s natural SPF 35-40 built in too. The Carrot Hydrating & Nourishing Body Lotion compliments the lineup with the same formula and replenishing qualities. We hope to see a travel-sized version make its way into the collection. The mist comes in a 100 ml bottle and retails for $14.95. This one’s a rich and refreshing lotion meant to be used over your entire body to help replenish dry skin from summer sun. It has a lovely citrusy smell with aloe juice and ginger and isn’t overpowering. It goes on without being greasy and in terms of hydration and long-lasting moisture, I’d say it’s one notch below L’Occitane’s shea butter lotion and body cream products. The King & I comes in three sizes: 30 ml, $5.95; 100 ml, $12.95; 200 ml, $22.95. 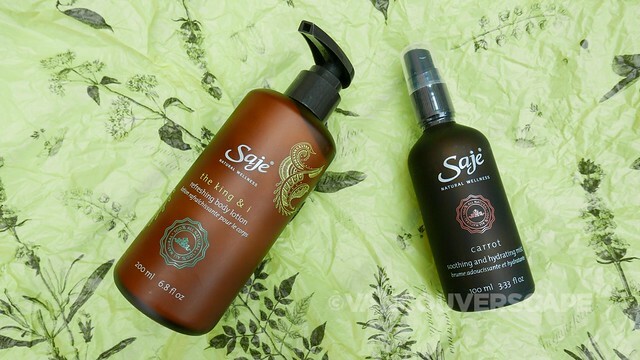 Both are available online and at Saje stores throughout Canada and the US. Prices quoted are in Canadian dollars.